I’ve never been one for art. In fact, I could probably count the amount of art galleries I’ve visited on one hand. Am I a heathen? Possibly. I feel that, as a creative, I should probably rectify this – I’ve always had an eye for design, but have never let it flourish – preferring to spend my creative time around words. So, as I’ve completely changed my surroundings recently, I’ve decided to surround my new room with some art. A couple of images that will make me think. Because, that’s what good art should do. Just because the things I create centre around paragraphs, full stops and hyphens – it doesn’t mean I can’t be inspired by something else. Perhaps I should visit a few art galleries when I have some free time. I can see a new series of blog posts beginning – ‘Understanding Art: An Idiot’s Guide’. Yesterday I spoke about injecting a bit of humour into the drier parts of business. But one part of business that can easily be fun and witty is advertising. In a business world of bottom lines, fees, fines, negotiations and contracts it’s easy to be…well…for lack of a better word, boring. If it’s a serious matter that you’re dealing with, there’s no room for humour – right? Well, actually I think that’s wrong. Why do we have to sound like clerks and solicitors all the time? Why no de-formalise things from time to time and have a bit of fun? Now, I’m not saying that you should go to your next board meeting in a clown suit, but in a busy and noisy world…perhaps sounding a bit ‘fun’ and a bit ‘humorous’ might actually be a good way to stand out? A big brand who are in the middle of battling a very competitive market. They were one of the forerunners when it came to ‘on demand’ programming and as other competitors rise they’re doing all they can to stand head and shoulders above them. One of their big pushes at the moment is their own shows. One of them being ‘Stranger Things’ – a show that I’ve never watched, but hear a lot about thanks to social media. Anyway, without asking Netflix’s permission, a pop-up bar in Chicago opened up and named themselves after one of the fictional worlds in Stranger Things. I think Netflix got it right here. They knew that they were dealing with fans of their brand, and dealt with it accordingly. I’m not keen on re-marketing things. I’m not one for revamps. The new Mad Max movie sucked in my opinion, and told me just how right I was to keep away from it. 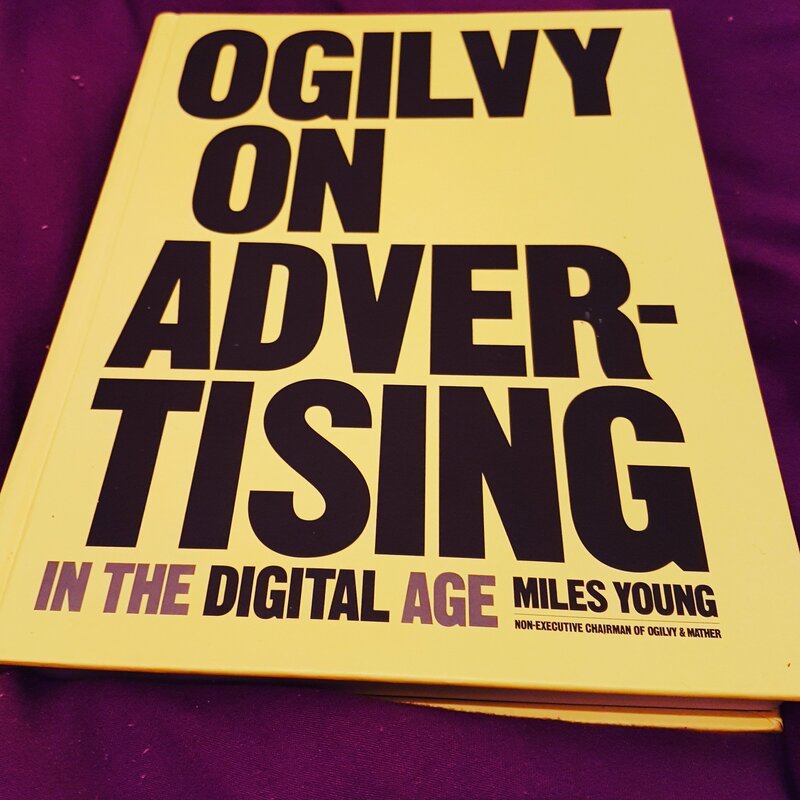 But today I picked up my copy of “Ogilvy on Advertising in the Digital Age”. It’s a revamp of one of my favourite books. I’m not 100% sure how I feel about it…but as the first book was such a classic, I have high hopes. Catch an idea and tie it to something else. Life’s a funny old thing. One minute you’re in the slow lane, watching the same old sights trundle past. Then, next thing you know your foot is firmly latched onto the accelerator and you’re going somewhere not so familiar. Different scenery. Flashing by. Much faster. But sometimes there’s a need for speed. Sometimes you need to crank yourself into top gear and hold on tight if you want to get somewhere. Apologies, adoring public (ha), for the lack of posts recently. I’m changing jobs (into something much more creative) and changing city. Once I’m fully set up in London I’ll be blogging regularly again. Hey – who knows, my content might be fresher when inspired by different surroundings. Sometimes with copy you need to sacrifice a bit of grammar for a bit of easy reading.